Juice N Power eliquids are manufactured in the UK, their range focusses on authentic tasting fruit flavours for a sweet vape. Featuring a 70% VG mix ratio, these eliquids should be paired with sub ohm tank or kit. Available as 50ml shortfills, each bottle has room for a 10ml nicotine booster shot. 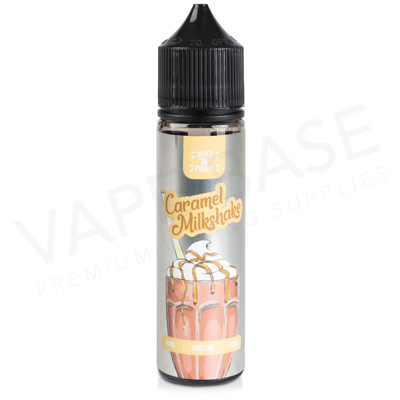 Mixed and bottled in the UK, the Milkshake range by Juice N Power is a collection of rich dessert blends, all of which have a rich and creamy flavour base. Available as 50ml shortfills, each bottle has room for a 10ml nicotine booster shot. Featuring a 70% VG mix ratio, they work best with sub ohm tanks and kits. 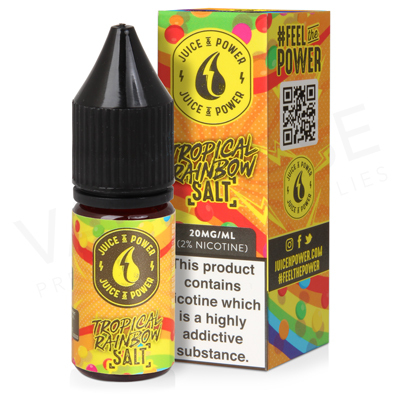 Juice N Power Salts is a collection of UK-made eliquids that combine the classic fruit, dessert and candy flavours of Juice N Power with a 20mg salt nicotine concentration; Creating an eliquid that delivers a smooth throat hit and authentic-tasting flavour. Available in 10ml bottles, these are all 50% VG eliquids that should be paired with pod devices and vape starter kits. The Shock range is made in the UK by Juice N Power. These 70% VG eliquids feature candy notes fused with fruit, menthol and fizzy notes. Available as 50ml shortfills, each bottle has room for a 10ml nicotine shot. Sweet Tooth eliquids are a range of fruit flavours created by Juice N Power. Available in a 70% VG mix ratio, these blends are ideal for sub ohm and high wattage vaping. Each 50ml shortfill has room for the 10ml nicotine booster shot of your choice.